On behalf of White Ribbon I'd like to congratulate White Ribbon Ambassador Tim Marshall who recently won a special award at the Tairawhiti Man of the Year Awards. There are so many men who make a difference in NZ and Tim is a great example of men who often go unrecognised for their tireless work. It's very pleasing to see Tim honoured in his own community. Congratulations, I hope your commitment towards non-violence inspires many other men. There is much that is occurring in the anti-violence arena. Within White Ribbon we are preparing for the November campaign and we have a short explanation of this year's theme in this newsletter or click here to read the article. 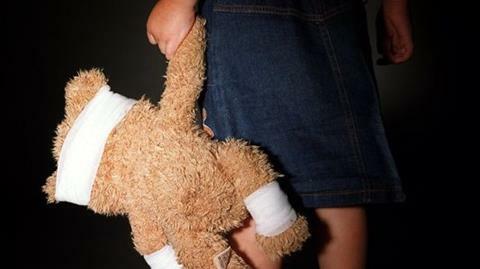 Recently the Family Violence Clearinghouse released the 2015 Family Violence Data Summaries which show that police are dealing with more family violence, but where an offence is reported, fewer cases are being resolved. Police have released an evaluation of Police Safety Orders. The report identified three main areas for improvement. The Government has called for expressions of interest for the new position of Chief Victims Advisor. Chief Coroner Judge Deborah Marshall has released her report into the Livingstone double murder-suicide in Dunedin in which "valuable lessons" for the future could be taken from the tragic deaths. 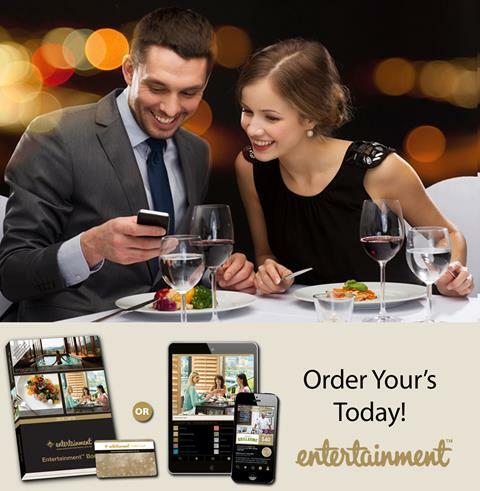 The 2014 | 2015 Entertainment™ Membership expired 1 June. If you haven't already purchased a new 2015 | 2016 Entertainment™ Membership, now is the time to do so. 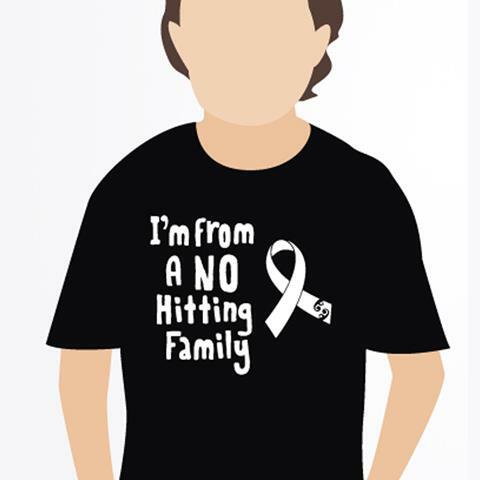 Plus, 20% of every Membership goes towards White Ribbon. 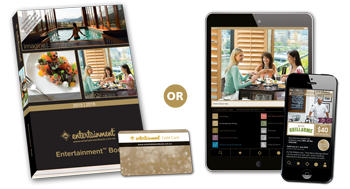 For just $60, you will receive over $20,000 worth of valuable offers in the new 2015 | 2016 Entertainment™ Membership! Use just a few of the hundreds of 50% off and 2-for-1 offers, and you'll more than cover the cost. You will also receive additional Member-only benefits until 1 June 2016! The more Entertainment™ Memberships we sell, the more we raise, so please forward this email to your family and friends! Respectful relationships’ is a simple description of the positive behaviour we want to be normal for everyone, instead of men’s violence against women being too often an everyday occurrence. It involves using communication skills to safely share feelings and concerns, as well as treating partners as equals and ensuring that consent is the basis of all relationships. We need to clear our t-shirt stock featuring designs from past campaigns. Check out the t-shirt sale here. 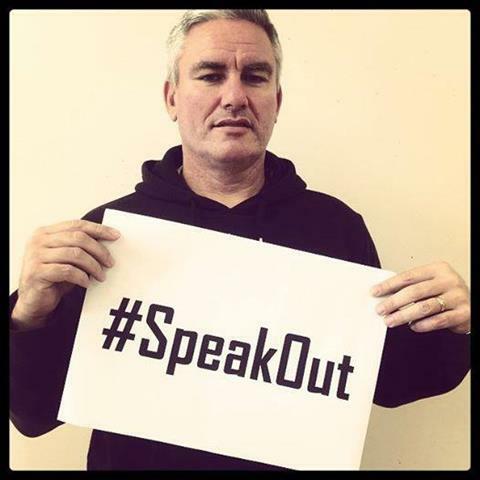 Kelvin Davis has been busy. Recently he helped to organise a march from West Auckland to Cape Reinga that began on Friday 29 May to raise awareness of sexual violence. 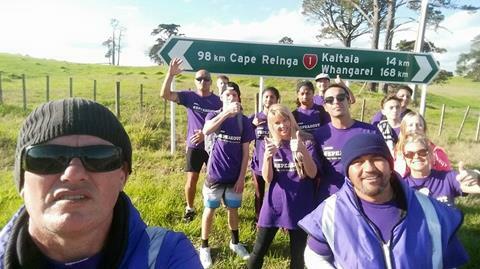 The Massive: Men Against Sexual Violence walk is the first of its kind to be held in the country organised by men, and took 17 days and covered more than 400 kilometres beginning in West Auckland and ending at Cape Reinga. 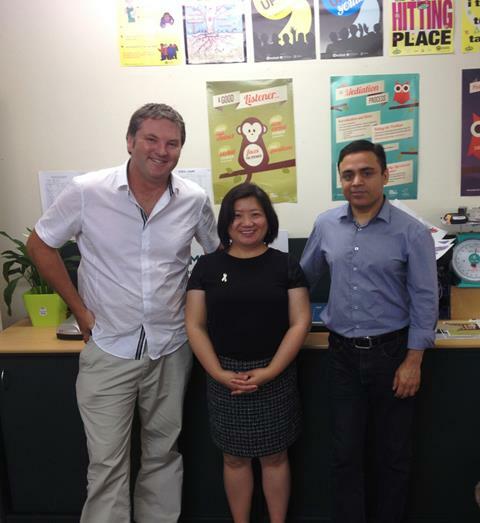 We are also proud to announce that Kelvin has also become a White Ribbon Ambassador. Peter McLaren, founder of McLaren Associates, is the latest to join the ranks of White Ribbon Ambassadors, who want to see men stand up and say No to violence against women. The announcement came on his 70th birthday celebration among friends and family, including his long-time friend Judge Peter Boshier, Chair of White Ribbon, who made the announcement. His involvement in White Ribbon is a new direction as he begins afresh to take some time and decide what he will do next. He says he will proudly wear the White Ribbon to demonstrate his zero tolerance of violence against women. 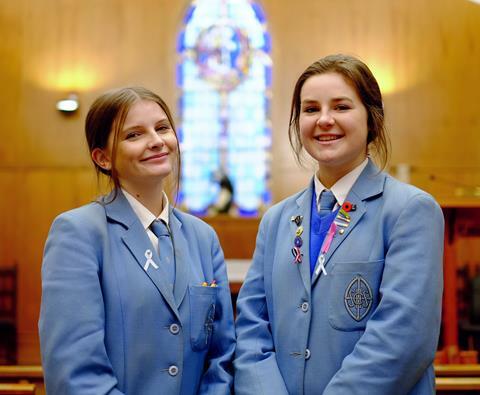 "Women’s violence is a tragedy that runs deep within New Zealand society" say Josie Kyle and Madison Hughes of St Hildas Collegiate. "It’s also something that isn’t talked about often, even though it drastically affects people’s lives." Find out what their school is doing to raise awareness. I decided I wanted to help people who have experienced domestic violence in their life. I am going to write a story about some stuff that happened to my mum. I want people to read it and see how it felt and what it ended in. 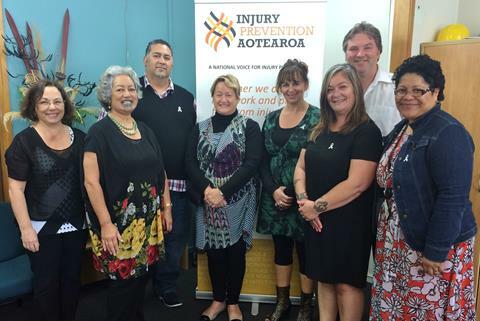 “Injury Prevention Aotearoa is set to strengthen links with White Ribbon and have signed a Memorandum of Understanding to foster greater communication and networking, with a shared focus on preventing violence and injury. “We look forward to developing opportunities for both organisations to promote the work of one another,” says Injury Prevention Aotearoa cultural strategies manager, Chris Stewart. "We have a shared focus on primary prevention," says Rob McCann, White Ribbon Campaign Manager, "and we are looking forward to strengthening our ties and sharing some of the expertise in each organisation." 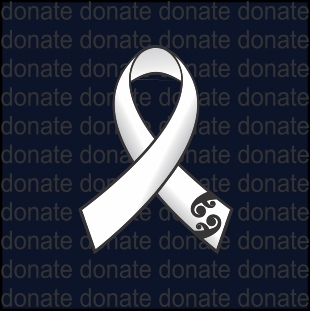 Recently White Ribbon held a volunteering information stall at the Wellington Massey University Campus. If you would like to volunteer for White Ribbon click here. We're always on the lookout for volunteers to work with the campaign team. It's fun and it's great experience. The Timberlea Residents Association and our local Timberlea kaumatua opened our White Ribbon Family Day Event at Timberlea with a powhiri for our White Ribbon Riders, distinguished guests and the children, young people and their families in our community. We were privileged to have local White Ribbon Ambassadors' Judge Peter Boshier, Upper Hutt Mayor Wayne Guppy and Upper Hutt Multicultural Society Chairperson Pancha Narayanan present throughout our event to speak to the crowd of up to 500 participants about the White Ribbon messages and pledges against violence towards Women in our community. Live entertainment for our White Ribbon Family Day Event was performed by our local Maori and Chinese cultural groups, dance performers and solo artists. Other activities offered at our event for the children, young people and their families included free bouncy castles, face painting, sausage sizzle, candy floss, food, cold drinks, tea, coffee and white ribbons. Special mention also goes out to the local volunteers, Government and non-Government services and local businesses that participated and gave their resources and time, resulting in a wonderful and successful White Ribbon Family Day Event at Timberlea. Click here to see more images. 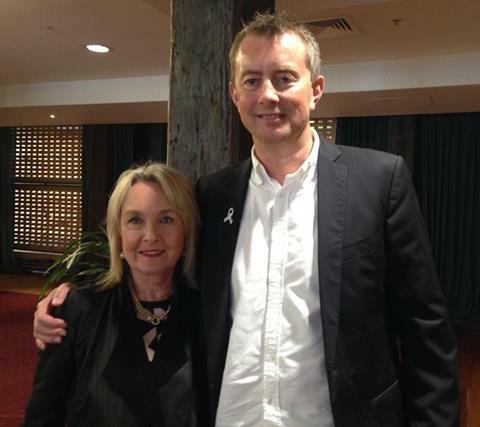 White Ribbon Ambassador Mark Longley met June Steenkamp mother of Reeva Steenkamp. Click here to read more. The Peace Foundation has taken on the role of hosting the Central Auckland White Ribbon Committee to help plan and organise the White Ribbon activities in central Auckland. 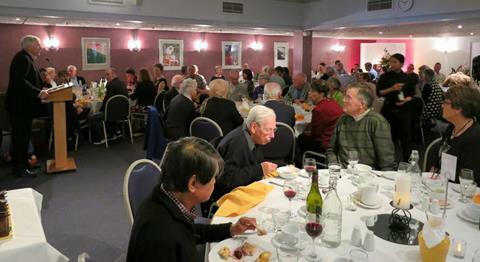 Colin was the Vice President of the South Island Chapter of the Patriots Defence Force Motorcycle Club. 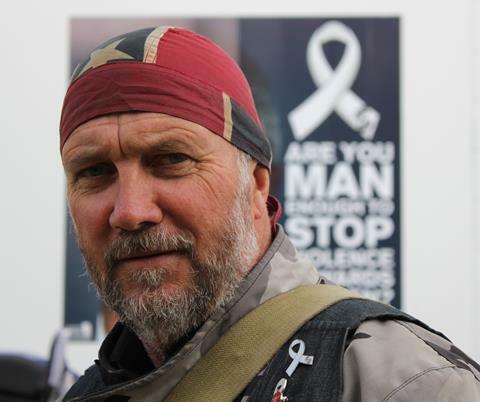 He is now the leader of the South Island leg of the White Ribbon Ride. 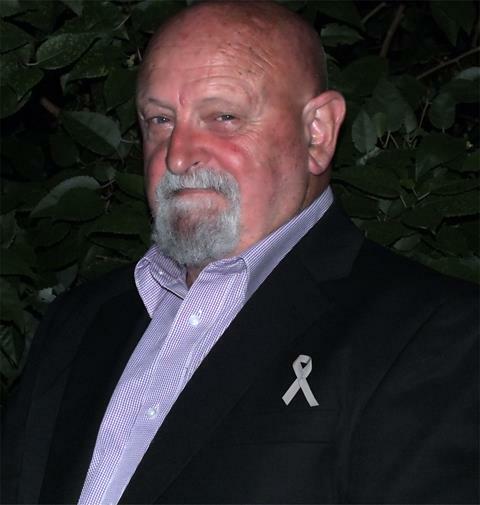 We have great pleasure in announcing Colin as a White Ribbon Ambassador. Click to read more. As a teacher my position brings me into contact with numerous young people and this is an opportunity to introduce the campaign and educate them that violence towards women is not acceptable. Click to read more. Arihana Ututaonga-White is a 17-year-old girl with the voice of an angel. Now she wants her voice to be heard loud and clear to highlight domestic violence. Potaka Maipi joined Arihana and her family in Rotorua and finds Arihana, with the support of her family, writing songs to inspire others. Click to watch the maraetv video. 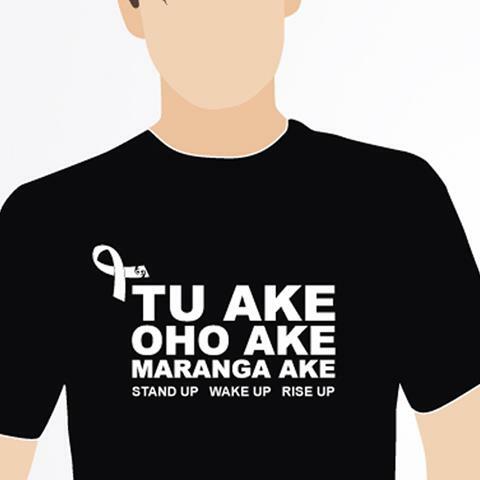 If you know a man that lives the kaupapa and think he could help promote non-violence, nominate now. Nominations are processed every two months. The draft 2015 Ride Schedule is out. Check out the schedule here. Want to take part in the 2015 White Ribbon Ride or just stay in the loop? Make sure we have your contact details as a rider so we can send out regular updates. Click here to update your details and find out more about Ride 15.